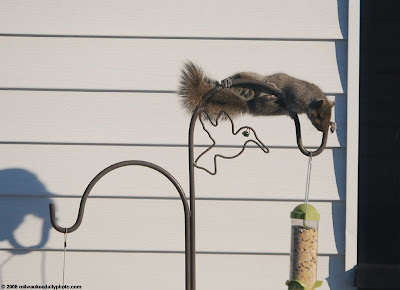 ...at least someone found the bird feeders. I'm not really happy about it, though. I would like him to try that move at the end of October.. LOL how cute!